Here's a quick rundown of some interesting stats, including popular cards and decks. Since our launch out of "beta" early in the month, the players have taken part in almost 28,000 matches and opened nearly 27,000 Loot Boxes... that's a lot of loot! Have a look below and feel free to share your comments on our Facebook fan page or subreddit. 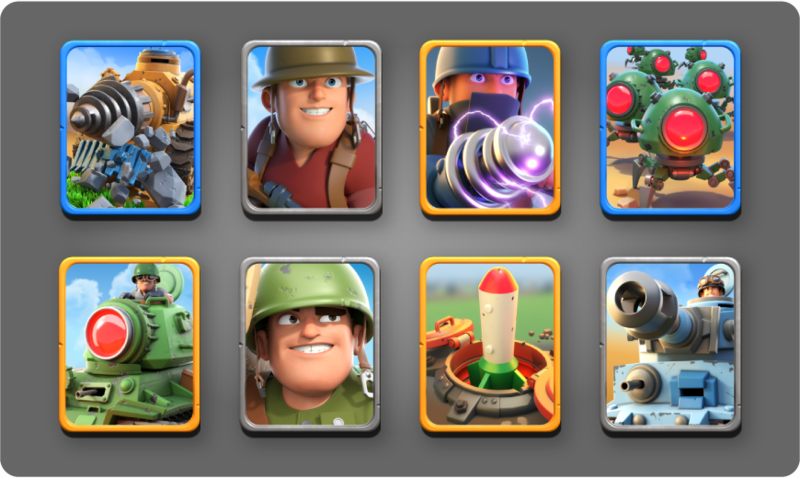 From left to right, row by row: Rocketeer, Revolver Tank, Missile Tank, Heavy Tank, Bunker, Bazooka Troopers, Airstrike, Chopper. From left to right, row by row: Drill, Riflemen, Shock Troopers, Spiderlings, Laser Tank, Bazooka Troopers, Missile Silo, Heavy Tank. 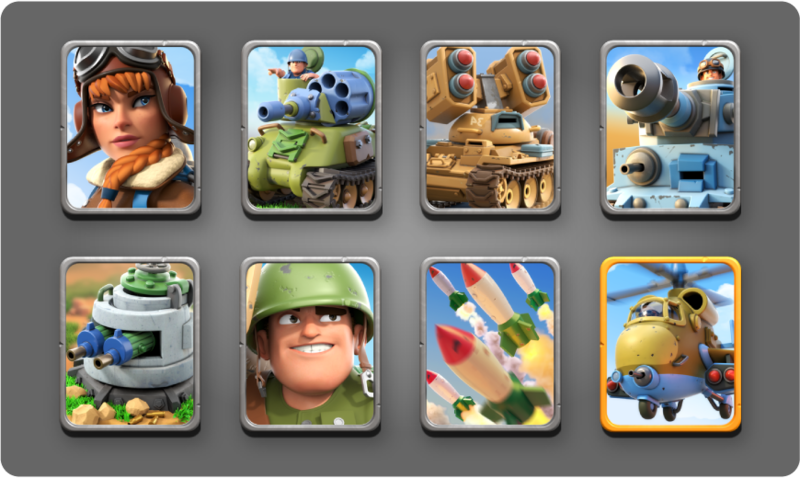 From left to right, row by row: Rocketeer, Riflemen, Missile Tank, Barracks, Toxic Bomb, Bazooka Troopers, Shrub, Tent. Hero: Commando. And who's the true hero? Bazooka Troopers, with their low cost and good value, have appeared in all three categories. See you next month!